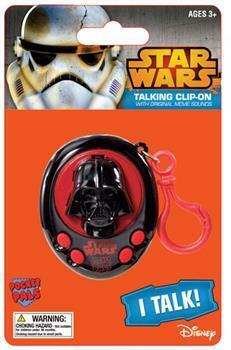 Bring out your inner Star Wars aficionado with this talking clip-on Pocket Pal with original movie sounds! Sounds include Vader's haunting breathing and a lightsaber battle! Sturdy metal ring allows clip to secure on backpacks, keys, and more! Makes a great gift for any Star Wars fan! Batteries included. 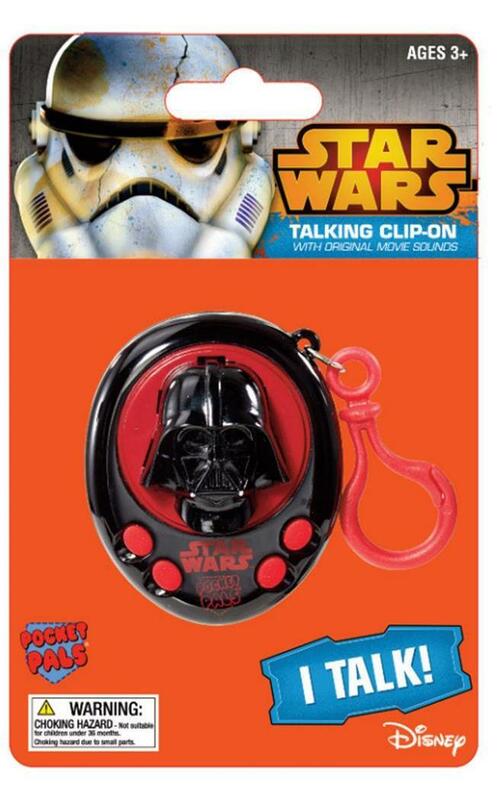 Bring out your inner Star Wars aficionado with this talking clip-on Pocket Pal with original movie sounds! Sounds include Vader's haunting breathing and a lightsaber battle! Sturdy metal ring allows clip to secure on backpacks, keys, and more! Makes a great gift for any Star Wars fan!